Following the launch of the fourth instalment of the Derwent Art Prize in November 2017, Derwent – internationally renowned fine art brand – are pleased to announce details of this year’s selectors. The Derwent Art Prize aims to reward excellence by showcasing the very best 2D & 3D artworks created with any pencil or coloured pencil as well as water soluble, pastel, graphite and charcoal by British and International artists. The 2018 selection panel is comprised of Gill Saunders, senior curator, V & A, Chris Sharratt, Frieze contributor and editor of the a-n news website, and Clare Woods, internationally renowned artist. Gill Saunders is Senior Curator of Prints at the Victoria & Albert Museum, in the Word & Image Department (WID), which is responsible for the Museum’s collections of prints, drawings, paintings, photographs, designs, digital art, books and archives, including eight of the V&A’s eighteen national collections. Gill specialises in 20th century and contemporary prints and drawings and her publications include Prints Now (2006); Walls are Talking (2010); Recording Britain (2011); In Black and White: prints from Africa and the Diaspora (2013) and Vintage Travel Posters: Journeys to the Sea (2018). Gill teaches, lectures and broadcasts regularly. Chris Sharratt is a freelance arts writer and editor based in Glasgow. A contributor to Frieze and Art & Education, he is also editor of the a-n News website. With over twenty years of journalistic experience, he has written for a variety of publications including The Guardian, The Sunday Times, New Statesman, The Face and Manchester Evening News. Formerly executive arts editor at Metro and editor of City Life, from 2012-14 he was a producer for Sync, a progressive technology programme for the Arts in Scotland. 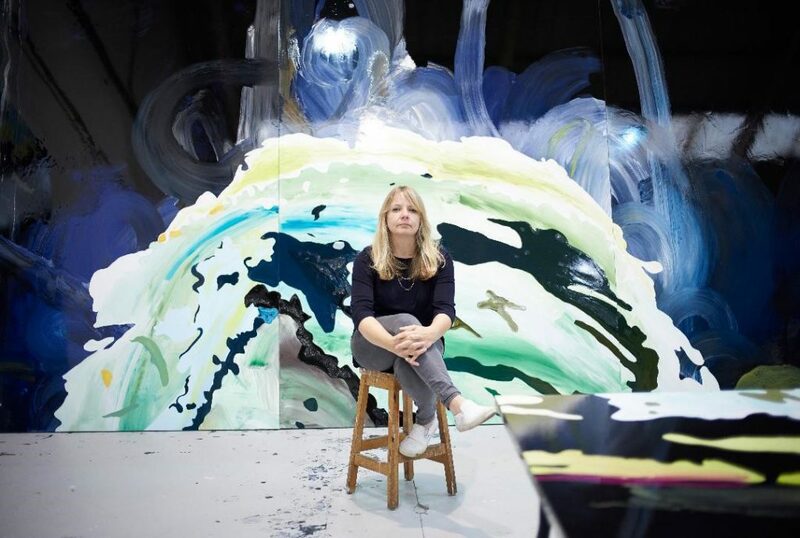 Clare Woods is a painter who is essentially concerned with sculpting an image in paint and expressing the strangeness of an object. Originally trained as a sculptor, much of Woods’ work is an exploration of physical form. This understanding of sculptural language and a preoccupation with forms in space, translated into two-dimensional images, underpins her pictorial practice. In much of her previous work, Woods’ concern with landscape has been paramount. However, since 2011 her images have been increasingly preoccupied with conveying the human form. Clare holds a BA in Fine Art from Bath College of Art and an MA in the same from Goldsmith’s College, London. Her recent shows include Lady Midnight at Pallant House Gallery, Chichester; The Drama Triangle at Martin Asbaek Gallery, Copenhagen, Denmark; and Victim of Geography at Dundee Contemporary Arts. She is currently exhibiting Reality Dimmed at Mead Gallery, Warwick; History in the Making at Alan Cristea Gallery, London; and Rehumanising at Simon Lee Gallery, Hong Kong. Please contact 01372 462190 or e-mail derwent@parkerharris.co.uk if you require any more information about the Derwent Art Prize.